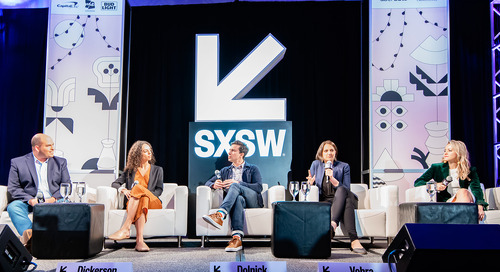 SXSW kicks off the 2019 season strong with the reveal of our first wave of Keynotes and Featured Speakers showcasing industry titans, creative visionaries, and change-makers working towards a more connected future. Keynotes announced today include Instagram CEO and co-founder Kevin Systrom, interviewed by TechCrunch Editor-At-Large Josh Constine; and a Keynote Conversation between Shirley Manson, lead vocalist of the critically-acclaimed alternative rock band Garbage, and singer-songwriter Lauren Mayberry of the Scottish electronic pop band Chvrches; and writer, producer, and director Marti Noxon. Among the Featured Speakers announced today are Jason Blum in conversation with John Pierson; writer and 2017 Time Person of the Year Susan Fowler; world-renowned architect Bjarke Ingels; artist and musician Amanda Palmer; co-founder of Upworthy and Fellow at the New America Foundation Eli Pariser; New York Times bestselling author Michael Pollan; media theorist and author Douglas Rushkoff; BenevolentAI CEO Joanna Shields; futurist and author Amy Webb; and more listed below. Get inspired by these diverse thought leaders and fuel your own creativity and career aspirations this March 8-17 in Austin, TX! 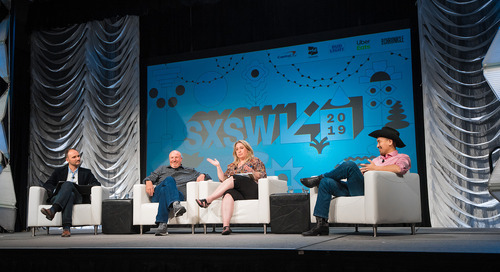 The only way to take part in this exciting programming is to register to attend SXSW 2019 – do so through Monday, September 17 for the biggest savings of the season and the best selection of hotel booking options. 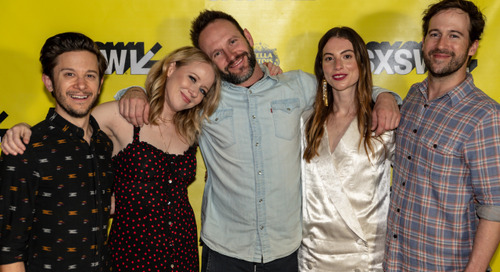 And we’ve only just begun – stay tuned as SXSW continues to release programming for the 2019 SXSW Conference & Festivals throughout the season (Hint: SX forecasts a shower of programming in October). Read on to meet the first group of 2019 Keynotes and Featured Speakers. Kevin Systrom with Josh Constine (Interactive Keynote) — Kevin Systrom is the CEO and co-founder of Instagram, a social networking platform that was acquired by Facebook in 2012. Instagram has grown into a global community of over one billion and a family of apps including Instagram, IGTV, Direct, Boomerang, Layout, and more. The company’s mission is to bring you closer to the people and things you love. Systrom is responsible for Instagram’s overall vision and strategy as well as day-to-day operations. Systrom will be in conversation with Josh Constine, Editor-At-Large for TechCrunch, whose scope of coverage includes social networks, streaming music, and early-stage companies. Shirley Manson and Lauren Mayberry (Music Keynote) — Join vocalist Shirley Manson and singer-songwriter Lauren Mayberry for a Keynote Conversation in association with PRS Foundation’s Keychange program. Shirley Manson is lead vocalist of critically-acclaimed, alternative rock band Garbage. She has been an active song writer and recording artist for over 30 years. During the course of their award-winning career, Garbage have sold over 12 million records and now run their own independent record label, Stun Volume. Last year they released an autobiographical coffee-table book titled This Is The Noise That Keeps Me Awake and earlier this year Manson won the coveted NME Icon Award in recognition of her long musical career and her general outspokenness. Garbage are currently on tour in celebration of the 20th anniversary of their multi-Grammy nominated record, Version 2.0. They will be spending the first half of 2019 in the studio working on their yet untitled 7th record. Lauren Mayberry is a singer-songwriter and front-woman of the Scottish electronic pop band Chvrches. The band have released three critically-acclaimed and commercially successful albums, and have toured the world numerous times. As an artist, Mayberry has continuously challenged stereotypes and been unafraid to speak out on the role and treatment of female artists in the music industry. Marti Noxon (Film Keynote) — With hundreds of hours of television under her belt, Marti Noxon is one of the most prolific writer-producers in television today. Noxon’s most recent projects include the high-profile prestige series Dietland for AMC and Sharp Objects for HBO, both of which she serves as creator and showrunner for. Also among her recent television offerings are Bravo’s Girlfriends’ Guide to Divorce, Code Black for CBS, and the Peabody Award winning UnREAL at Lifetime. Over the course of her impressive career Noxon has worked on some of the most beloved and critically acclaimed series of the past two decades, including Buffy the Vampire Slayer, Mad Men, Grey’s Anatomy, Brothers & Sisters, and Glee. 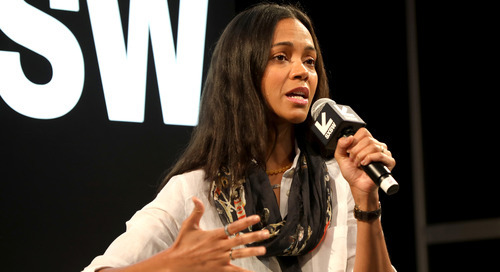 Additionally, Noxon made her feature directorial debut in 2017 with the powerful film To The Bone, which she also penned the screenplay for. Loosely based on her own personal experience with eating disorders, the film premiered in competition at the 2017 Sundance Film Festival to strong reviews and quickly sold to Netflix for $8 million, making it one of the highest sales to come out of this year’s festival. 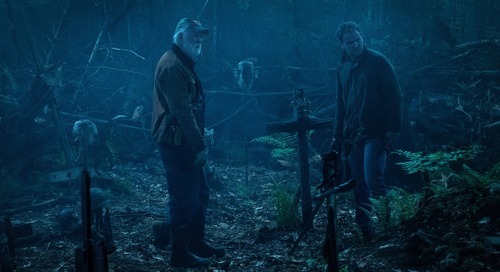 Noxon’s previous screenwriting credits include, I Am Number Four and Fright Night. The following speakers represent a blend of Interactive, Film, and Music affiliated Conference Tracks – dive in to learn more. Jason Blum with John Pierson (Entertainment Influencers) — In 1993, John Pierson — a big shot who helped launch a number of first time American independent filmmakers including Spike Lee, Michael Moore, Richard Linklater, Kevin Smith, Rose Troche and Guin Turner — met Jason Blum, a kid fresh out of college, when they worked on a forgotten feature called My Life’s In Turnaround together. 25 years later, Jason and his company Blumhouse Productions have conquered the universe. Blum is a two-time Academy Award-nominated and two-time Emmy and Peabody Award-winning producer. His multi-media company is known for pioneering a new model of studio filmmaking: producing high-quality micro-budget films. How the hell did he get from there to here and how do these two view that evolution? Susan Fowler (Tech Industry & Enterprise) — Susan Fowler is the Technology Editor of the New York Times Opinion section as well as a central figure in the #MeToo movement. Named Time magazine’s Person of the Year 2017 as one of the silence breakers, Fowler is the former Uber engineer whose viral blog post ignited an ongoing, worldwide conversation. The Financial Times named her Person of the Year as well — her actions, the paper writes, hold “the potential to improve the way women are treated at work permanently.” That’s Fowler’s public narrative so far. But her personal story — a homeschooled science nerd, a successful woman in STEM against incredible odds — is equally fascinating. She tackles a variety of topics in uplifting talks, including how regular people can effect positive change on a global and personal scale. 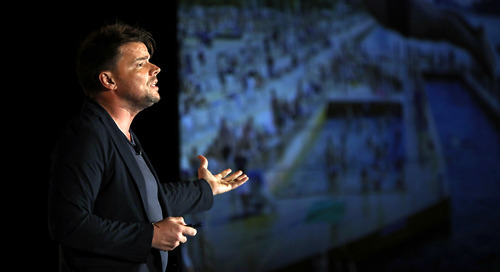 Bjarke Ingels (Design) — Bjarke Ingels is the founder of BIG (Bjarke Ingels Group). Ingels defines architecture as the art and science of making sure our cities and buildings fit with the way we want to live our lives. Through careful analysis of various parameters from local culture and climate, ever changing patterns of contemporary life, to the ebbs and flows of the global economy, Ingels believes in the idea of information-driven design as the driving force for his design process. Named one of the 100 Most Influential People in the World by Time magazine in 2016, Bjarke has designed and completed award-winning buildings around the world. Amanda Palmer (Making & Marketing Music) — Amanda Palmer is a singer, songwriter, playwright, pianist, and blogger who embraces and explodes traditional frameworks of music, theatre, and art. She emerged as half of the Boston­-based punk cabaret duo The Dresden Dolls, earning global applause for their wide­-ranging theatricality and inventive song craft. Her solo career has proven equally boundless, including such groundbreaking works as the fan­-funded Theatre Is Evil. Palmer is again joining forces with producer John Congleton to release her first solo album in seven years in Spring 2019. Eli Pariser (Social & Global Impact) — Eli Pariser has dedicated his career — as an author, an online organizer, and a co-founder of Upworthy — to figuring out how technology can elevate important topics in the world. Currently, Pariser is an Omidyar Fellow at the New America Foundation, studying how platforms can effectively promote civic good. 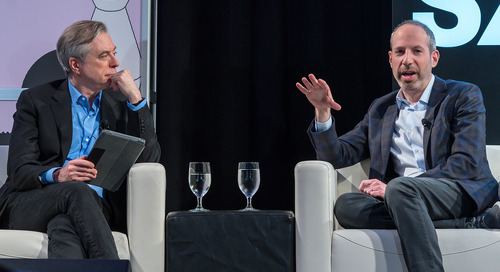 Michael Pollan (Health & MedTech) — Michael Pollan is the author of eight books, including most recently How to Change Your Mind, a number one New York Times Bestseller. Previous books include The Omnivore’s Dilemma; The Botany of Desire; and In Defense of Food. Pollan teaches journalism at Berkeley and Harvard. In 2010, Time magazine named him to its list of the 100 Most Influential People in the World. Joanna Shields (Intelligent Future) — Joanna Shields is a digital entrepreneur, experienced executive, and prominent leader in the global technology industry with a track record in helping to grow some of the world’s best-known transformational companies. She is currently CEO of BenevolentAI, the global leader in the development and application of AI for scientific innovation. Most recently, Joanna served as the UK Minister for Internet Security & Safety, a Special Advisor to the UK Government on the Digital Economy, and Chair & CEO of TechCityUK. Ari Paul, Kyle Samani, Linda Xie with Robert Hackett (Blockchain & Cryptocurrency) — Join Kyle Samani (Managing Partner, Multicoin Capital), Linda Xie (Managing Director, Scalar Capital), Ari Paul (CIO, Blocktower), and moderator Robert Hackett (Editor, Fortune) for a conversation with managers from Scalar Capital, BlockTower, and Multicoin Capital as they elucidate their investment approaches and predict the future of blockchain for users around the world. Amy Webb (Tech Industry & Enterprise) — Amy Webb is a quantitative futurist. She is a professor of strategic foresight at the NYU Stern School of Business and the Founder of the Future Today Institute, a leading foresight and strategy firm that helps leaders and their organizations prepare for complex futures. Webb will deliver her Emerging Tech Trends Report, where she’ll provide a data-driven analysis for the emerging tech trends that need to be on your radar in 2019 – and she’ll draw on those trends to show you scenarios for the future of business, governing, and society. 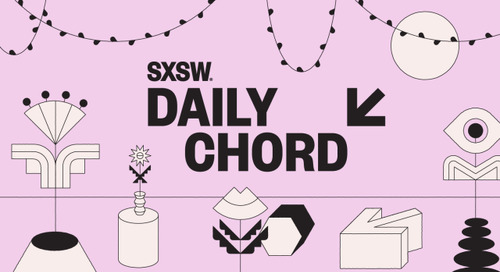 Explore new opportunities during 10 days of sessions, screenings, showcases, exhibitions, networking, and beyond at SXSW 2019. 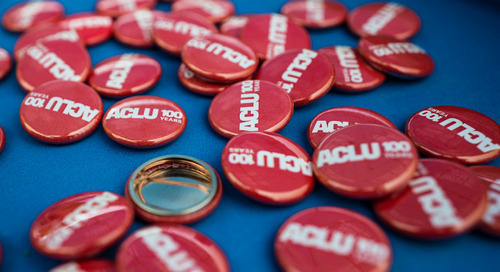 With expanded access to events for all registrants, attendees will receive primary access to programming associated with their badge type but also enjoy secondary entry to most other SXSW events. The early registration deadline for SXSW 2019 has been extended to 11:59pm PT on Monday, September 17. Register now to save! 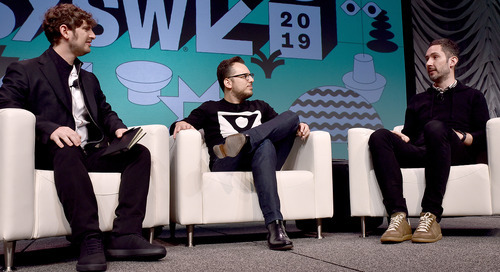 SXSW Conference programming is organized into 25 Tracks divided between Interactive, Film, Music, and Convergence, presented in a variety of session formats. Take the Tracks Quiz to generate the perfect badge for you. Make your hotel reservations through SXSW Housing & Travel for access to the best available rates and locations. SXSW attendees using SXSW Housing’s contracted hotel rates save between 35%-50% compared to online travel agencies and direct bookings. 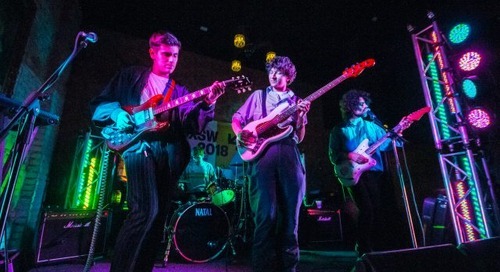 To stay in the SX know, sign up for SXSW Event Updates and follow us in all the usual social spots for daily updates – Twitter, Facebook, and Instagram. 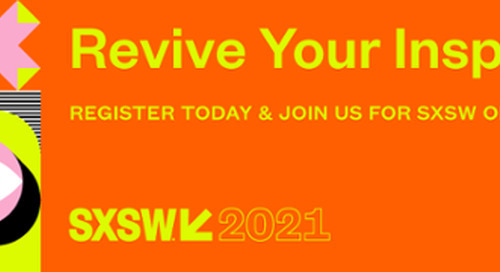 Get ready to help us write the next chapter of SXSW during March 8-17, 2019! 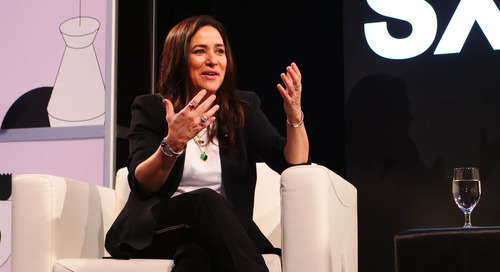 The post Kevin Systrom, Marti Noxon, Lauren Mayberry & Shirley Manson Announced As 2019 SXSW Keynotes, Plus Featured Speakers appeared first on SXSW.